A business may invest cash in stocks of other corporations. Or, a company may buy other types of corporate or government securities. If these investments are acquired for long-term purposes, or perhaps to establish some form of control over another entity, the investments are classified as noncurrent assets. 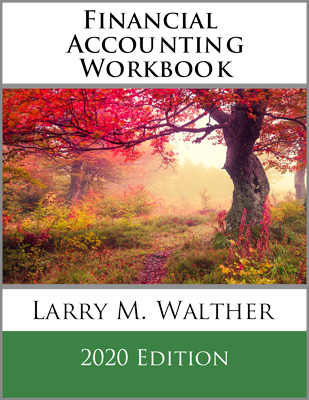 The accounting rules for those types of investments are covered in subsequent chapters. But, when the investments are acquired with the simple intent of generating profits by reselling the investment in the very near future, such investments are classified as current assets (following cash on the balance sheet). Such investments are initially recorded at cost (including brokerage fees). However, the value of these items may fluctuate. Subsequent to initial acquisition, short-term investments are to be reported at their fair value. The fluctuation in value is reported in the income statement. This approach is often called “mark-to-market” or fair value accounting. Fair value is defined as the price that would be received from the sale of an asset in an orderly transaction between market participants. Notice that the three journal entries now have the investment valued at $60,000 ($50,000 – $5,000 + $15,000). This is equal to market value ($12 X 5,000 = $60,000). The income statement for March includes a loss of $5,000, but April shows a gain of $15,000. Cumulatively, the income statements show a total gain of $10,000 ($5,000 loss + $15,000 gain). This cumulative gain corresponds to the total increase in value of the original $50,000 investment. The preceding illustration assumed a single investment. However, the treatment would be the same even if there was a portfolio of many investments. That is, each and every investment would be adjusted to fair value. The fair value approach is in stark contrast to the historical cost approach. The rationale is that the market value for short-term investments is readily determinable, and the periodic fluctuations have a definite economic impact that should be reported. Given the intent to dispose of the investments in the near future, the belief is that the changes in value likely have a corresponding effect on the ultimate cash flows of the company. As a result, the accounting rules recognize those changes as they happen. As an alternative to directly adjusting the Short-Term Investments account, some companies may maintain a separate Valuation Adjustment account that is added to or subtracted from the Short-Term Investments account. 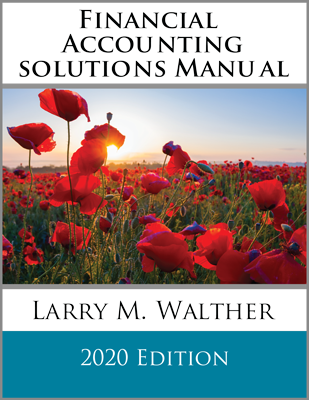 The results are the same; the reason for using the alternative approach is to provide additional information that may be needed for more complex accounting and tax purposes. One such purpose is to determine the “taxable gain or loss” on sale. Tax rules generally require comparing the sales price to the original cost (tax rules sometimes differ from accounting rules, and the fair value approach used for accounting is normally not acceptable for tax purposes). 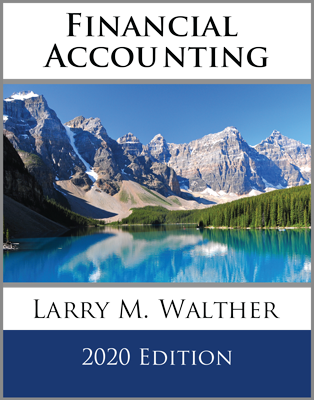 There are also more involved accounting rules relating to measurement of the “realized” gains and losses when the securities are, in fact, sold. Those rules are ordinarily the subject of more advanced courses. The presence or absence of dividends or interest does not change the basic fair value approach for the Short-Term investments account. There are an endless array of more exotic investment options. Among these are commodity futures, interest rate swap agreements, options related agreements, and so on. These investments are generally referred to as derivatives, because their value is based upon or derived from something else (e.g., a cotton futures contract takes its value from cotton, etc.). The underlying accounting approach follows that for short-term investments. That is, such instruments are initially measured at fair value, and changes in fair value are recorded in income as they happen. Know the application of the fair value method as it relates to short-term investments, and the rationale for its use. Prepare journal entries for short-term investments, including cases involving increases and decreases in value. Grasp the financial statement impact of changes in value of short-term investments. Know how to record dividends received. 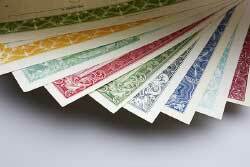 Understand the meaning of the word “derivatives,” and know that they are valued at fair value.